I decided to try to do a few panning shots this afternoon. 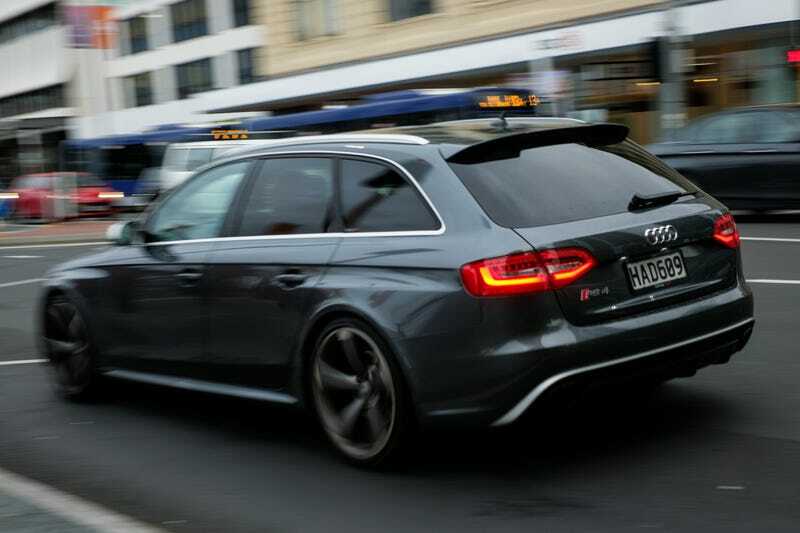 So here’s and RS4. That was one really lucky shot and I was standing basically next to the car, just far enough so it could fit the frame with the 35mm lens. Lucky. Next up is a Falcon Ute! And another (older) RS4. And I also received my variable ND filter. It’s a cheap one but as I’ve never used one before I wanted to try my hand at it, and see what I could come up with. The filter is made by Polaroid, and I got it for around 50 USD on Amazon.com, shipping to NZ included. Really cheap then. I wish my camera had a lower ISO setting like 100, but that’s not the case in RAW. Bummer. Also I tink my sensor is dirty. Bummer again.